For over thirty years, Preston Singletary has been working with glass and perfecting his techniques with Native American and indigenous art. Singletary’s art carries earthy tones of blue, amber, and red and often depict animal spirits and totem themes. He is a thoughtful glass artist who has made a successful name for himself through his precise and skilled glasswork. 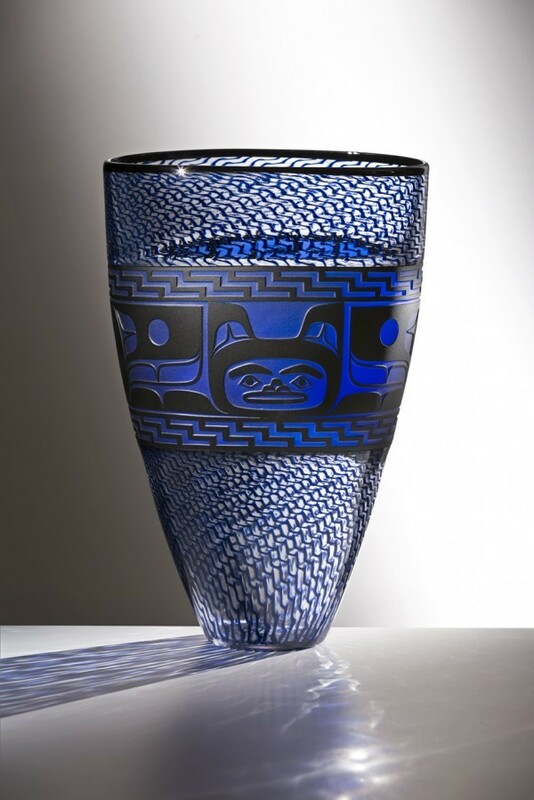 Through his fruitful collaboration with Dante Marioni, Preston Singletary has welcomed the use of cane techniques in his glass art. One of their most recent creations, Killer Whale, suggests an exquisite attention to detail and craftsmanship. On his own, Singletary’s work takes utilitarian objects and turns them into beautiful works of art that use intricate geometric themes. 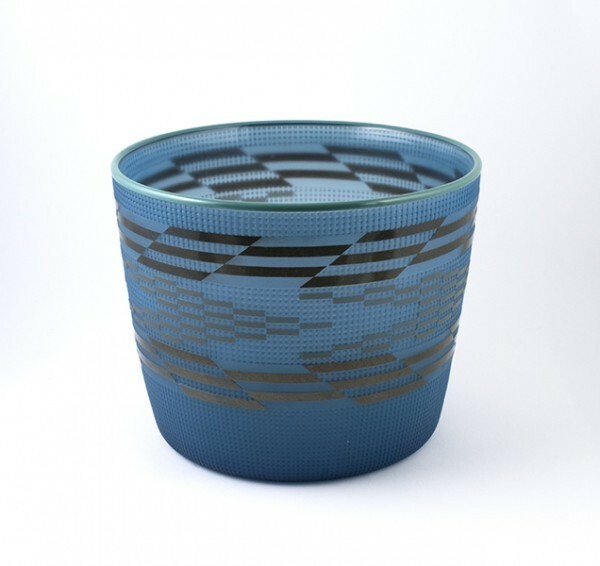 The earthy blues in this piece allow for the full contrast of the geometric designs to express themselves. 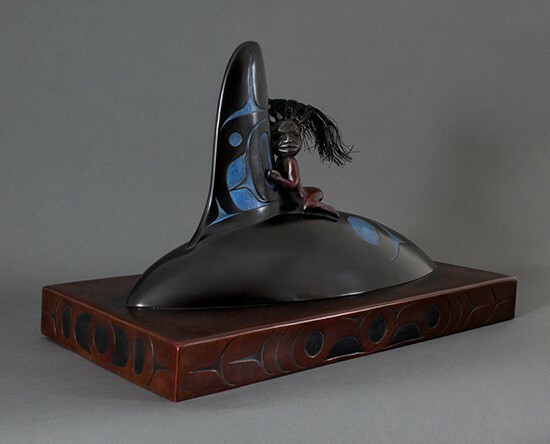 He often tells stories through his creations, and this bronze figure depicting Natsline riding on the back of a killer whale is no exception. It’s a traditional tribal tale about the creation of the first killer whale. 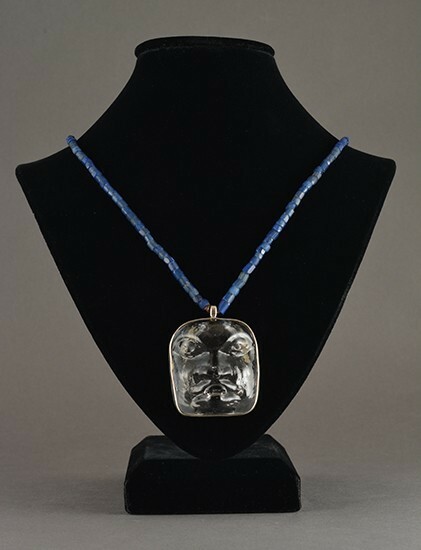 His jewelry work is most notable for the figures they depict, he chose the features of a woman in this piece, but he also portrays bears, ravens and hawks often as well. All of Preston Singletary’s works pictured above are available to view and purchase on his Artists Page.